Earn 2500 points to spend on future purchases. 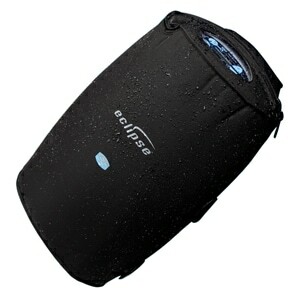 The Eclipse has always been known as a durable and powerful portable oxygen solution. Eclipse 5 goes a step further with an updated internal design, more robust construction, and added convenience features. The Eclipse 5 is still a power miser so it won't generate a lot of heat or noise, and it won't be a drain on your electric bills; plus the updated motor enables higher oxygen flows from DC power and improves battery charging. The Eclipse 5 comes complete with an AC power cord for home use, a DC power cord for use on the road, and a battery pack (power cartridge) for use when fixed power sources aren't available. The Eclipse 5's battery will take over automatically when you unplug the concentrator from an external power source and each power cartridge will last up to 5 hours between charges. Batteries can easily be switched out with spares to extend your time away from a fixed power source; and power cartridges WILL recharge automatically when the Eclipse is plugged into any external power supply like an AC or DC outlet. Like heavy home oxygen concentrators the Eclipse 5 delivers Continuous Flow oxygen up to 3LPM so it's great for use at night and during exercise. When you want to extend battery life, or prefer to switch to on demand oxygen therapy, the Eclipse delivers Pulse Dose oxygen up to a setting of 9. Eclipse 5's AutoSAT technology adjusts oxygen production automatically to match oxygen demands as your respiratory rate as it changes -- increasing or decreasing -- naturally during the day. So, if you breathe faster, the Eclipse 5 will increase oxygen production to maintain a consistent pulse dose volume for every breath you take. When your breathing slows back down the Eclipse will automatically reduce production in order to save energy for when you need it most. Great for home but made for travel the Eclipse 5 lets you live life your way. At just 18.4 pounds with a battery it is easy to take with you wherever you want to go. The rugged travel cart with large wheels is great for city or country terrain; the universal power supply is ready for use in most countries worldwide; and of course the Eclipse 5 is FAA approved for use on all commercial flights. Whether it's a walk around the block, a trip to the market, a round of golf, or a flight to Spain the Eclipse 5 is ready with the oxygen you need. It's easy and convenient so you never need to wait of oxygen deliveries or worry about storing oxygen at home again. Choose an eclipse and live life your way, every day! The Eclipse 5 is powerful; but it's also easy to live with! With a simple to use, top facing control panel, a backlit display, and audible alarms you'll always know exactly how your Eclipse is performing, what your oxygen level is, and when you need to change your battery. An adjustable oxygen therapy rise time ensures that the beginning of therapy is comfortable; and the only maintenance typically needed is washing the air filter about once a month! Can I use the Eclipse 5 at 3 LPM Continuous Flow with DC Power? The Eclipse 5 can run at all settings, Continuous Flow and Pulse Dose, when using DC power; however the wattage limitations of your DC power outlet can effect which flow rates are available. The Eclipse 5 requires between 45-145 Watts of power for proper operation. 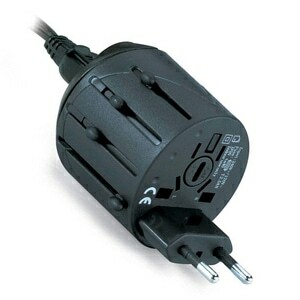 (Review the POWER CONSUMPTION table elsewhere on this page for approximate power levels required at each flow setting.) If the maximum power available from your DC power outlet is less than that required by the Eclipse 5, the unit may alarm and/or shut down. For example, if your DC outlet has a maximum draw of 120 Watts, it will not run the Eclipse 5 at 3 LPM Continuous Flow because this requires more wattage than the outlet will allow. A DC outlet with a maximum draw of 120 Watts will still run the Eclipse 5; but you may need to choose a lower Continuous Flow setting or switch to Pulse Dose therapy. How can I maximize the power available from my DC outlet? Many DC outlets have a maximum power draw listed directly on them so if you check your outlet (or the manual that came with your car or DC power source), it may help you determine the total power you have available. In addition DC power availability can be effected by the quality of the current electrical system, the condition of the DC power source's battery, distance from the battery to the DC outlet, other devices running on DC power, etc. For maximum performance make sure your DC power source (i.e. car) has been warmed up for a few minutes before plugging in the Eclipse 5, make sure to use the DC outlet closest to the DC power source, and make sure that no other devices are currently using the same DC power source. How do I determine the Eclipse 5's maximum flow rate in my car? Start the car, rev it up and let it run for a few minutes. Insert the Eclipse 5 power cord into the DC outlet. Power up the Eclipse 5 at .5 LPM Continuous Flow and let it run for 60-90 seconds. If the unit is performing as expected, increase the flow setting to 1.0 LPM Continuous Flow and again let it run for 60-90 seconds. Continue this procedure at each flow rate until you've reached your desired flow setting. If the Eclipse 5 shuts off or alarms at any flow rate, that would indicate you have passed the maximum flow rate available under current conditions (i.e. using the current power outlet). When I use the Eclipse 5 with DC Power the unit sounds an alarm, displays red asterisks on the screen, and shuts down. What is causing this? This behavior indicates the Eclipse is not drawing sufficient power from the DC outlet to run at the current flow settings. To correct the problem use the instructions above to determine the Eclipse 5's maximum flow rate in your current situation. When using the Eclipse 5 with DC Power and the battery installed the unit produces an audible alarm and error every 45 seconds or so. What causes this behavior and how can it be stopped? The description above suggests that the DC power is not quite sufficient for current power needs and therefore the unit is switching back and forth between battery power and DC power during operation. To solve this problem either remove the battery from the Eclipse 5 during DC operation or use the method described above to determine the Eclipse 5's maximum flow rate in your current situation. In the Package Eclipse 5 Portable Oxygen Concentrator with AutoSAT, Rechargeable Battery (Power Cartridge), AC Power Supply, DC Power Supply, Universal Travel Cart, 10 Nasal Cannulas, 3-Year Manufacturer's Warranty, and Printed User Manuals. Additional Batteries and Extras included depending on Bundle selected during checkout. Each Eclipse 5 carries an FAA Approved label for easy identification. This product is approved by the FAA for use on all commercial flights within the US and all international flights that depart or arrive in the US. Click here for TSA / FAA information on traveling with sleep and oxygen therapy. Always contact your airline prior to your flight to confirm any requirements they may have (i.e. a copy of your prescription or a letter of medical necessity) for allowing your device on board. 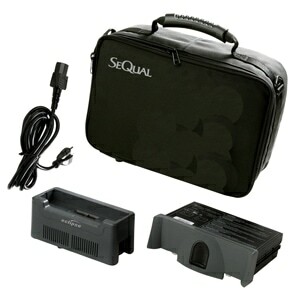 Battery Notes Batteries will charge sufficient whenever AC or DC Power is available. Pulse Dose battery run time measured at approximately 12 BPM. This purchase was for a replacement for a SeQual Eclipse 3. We had used the Eclipse 3 for approximately 13 years with one overall in that time frame. The eclipse 5 has the ability to charge the battery while plugged into DC power. A major update. I use Eclipse 5 on 2 LPM continuous, so that ability to charge the. Eclipse on DC power is extremely important. 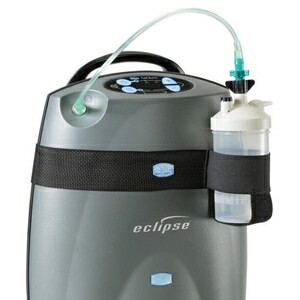 I would recommend the Eclipse 5 from Directhomemedical.com. it was my fault not to review/investigate other portable continuous flow concentrators. i was in a hurry to have one for a trip via plane. My mother, 81yrs didnt have time to try out the unit prior to traveling. There were problems getting the entire order shipped the same time, the second package arriving 4 hours prior to the time leaving for airport. So, dont be in a hurry...find out actual amt. of battery time for liter flow, ease or lack of ability to manouver said wt. of unit, if there is a trail period. ( barely fits underneath seat of airplane, must take off wheeled carring cart). When you save a bundle on a really good product, there is nothing to be said. Would have like the option for buying 2 more years warranty. This is our second machine. First one has been repaired twice, and close to five years old. It still works but 2 machines provide peace of mind when traveling. Only drop back is it is 18 it’s. 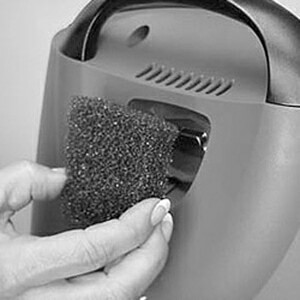 The price of this machine was outstanding. Like it a lot. On 2 1/2 liters cont. and finally found a machine I can deal with. Had one before but not to 3. Tickled now.. Works great and the wheelchair carry is perfect. Thank you Eclipse or caring. I am new to oxygen therapy so I haven't had a lot of experience with all the ins and outs yet. So far we have been pleased with the ease of operation of it in the car while traveling . We have not tried using the battery to see how long it will last but will do so soon. It is quiet which I like.It was delivered very quickly which was nice. Using my rewards was a little confusing but finally got the things I ordered very quickly also.